George Holdsworth was born on 4th Sep 1862 and educated at Eton and Cambridge. He joined the army on 23rd Aug 1884 and was a Lieutenant in the 7th Hussars a year later. He reached the rank of brevet Lt-Colonel by 29th Nov 1900 and was second in command of the regiment when Richard Walter took over in June 1903. He was substantive Lt-Colonel and placed in command on 26th June 1907, retiring in October 1911. 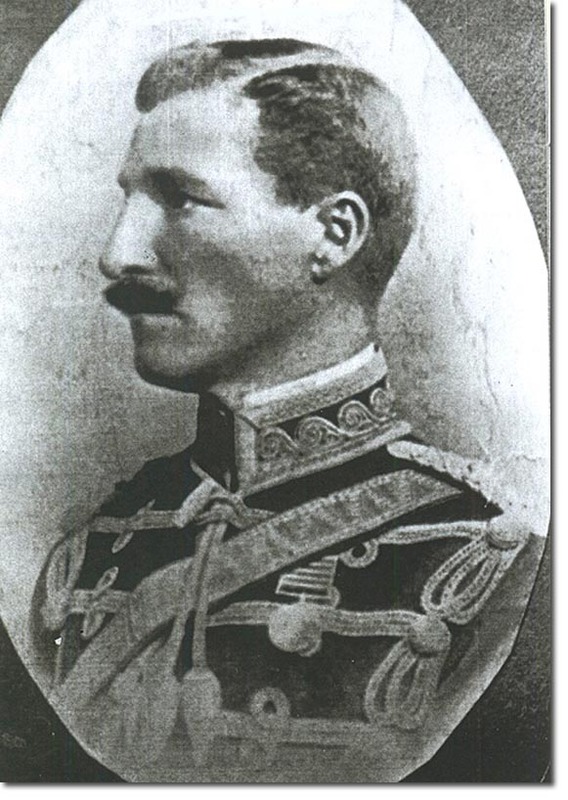 He served in the Boer War, before the 7th went out there, commanding Rhodesian Volunteers from Oct 1899. He also spent time in Australia in the Remount Department under the Colonial Office.